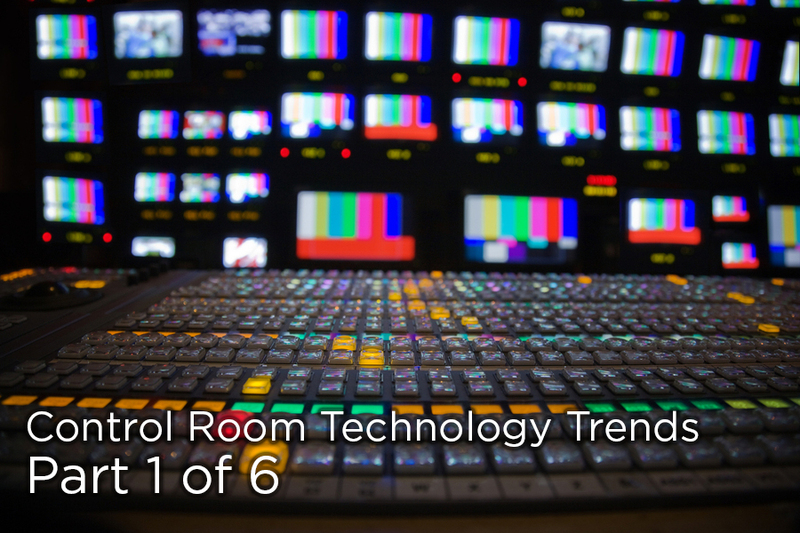 For venues and teams looking to upgrade or build a new control room or production facility, technology today can be as confusing as ever. With terms like 4K, IP, HDR, HFR and others being routinely thrown around, it can be hard to determine which, if any, of the current technologies are most applicable to your facility. As a result, over the coming weeks, I will try to clear up some of the confusion over the myriad of technology choices that exist today and help you determine which ones might be best for your facility. That’s right folks, with all the buzz around 4K and IP, the market for good old 3G baseband at 1080p60 is as strong as it has ever been. Not even four or five years ago, there was a large price premium for fully 3G compliant baseband systems. However, technology advances, primarily the advent of IP and 12G systems, have driven the cost of 3G baseband equipment prices down substantially. As a result, for a lot of clients, a 3G system is the most cost-effective and logical way to go when upgrading or building a new facility. Depending on your individual production requirements, 4K and IP technologies may not be a great fit for your facility. Not only are many clients uncomfortable with being early adopters of these technologies, the price premium to do so is often not a budgetary reality for many clients as well. Throw in that the recently unified IP standard is still very early (and incomplete) in its development cycle, which can make true vendor agnostic interoperability a challenge, and 3G systems are potentially even more attractive. Lower Cost of Deployment: When compared to a similarly configured IP solution, a 3G solution is typically 15%-25% less costly to deploy. This allows clients to either save a substantial amount of money on their project or add critical additional equipment and production capabilities for the same budget. Greater Ease of Use: Baseband systems are still largely plug and play from a cabling perspective. Things like synchronization and timing, which can be very challenging in the IP world, are far simpler in the baseband world. The programming of the application layer is also far easier to complete in baseband systems than it currently is in IP systems. All of this translates to a more unified, easy to use solution. Ease of Maintenance: Baseband systems do not require the IT expertise to program and operate that IP solutions do. For venues or teams that do not have a full-time engineer or a strong base of IT knowledge, IP systems can be very difficult to troubleshoot and maintain. High Frame Rate (HFR): Today’s cameras and replay systems are all designed to support 2X to 8X slow motion in a 3G format. Super slow-motion systems up to 1000 frames per second are also fully supported in 3G. High Dynamic Range (HDR): In addition to HFR, a plethora of products have been released in the past year that natively support HD HDR. This allows clients to take advantage of the benefits of HDR without making an investment in a 4K solution. As a result, a client can now tailor their system to include either, or both, of the above technologies at a price point that is far less than competing 4K or IP systems. Depending on your application, a 1080p60 baseband system can provide an image quality, when viewed on an in-venue LED screen, on a hand-held device as an OTT stream or as a compressed OTA signal that may not be that discernibly different from 4K either. The last two key elements in considering baseband versus IP are your budget and equipment replacement cycle. While we recommend to our clients that a seven to ten-year replacement plan for your control room should be in place always, the reality is that often times teams use their equipment well beyond its suggested life cycle. For some teams, that means having an equipment replacement schedule that is more likely ten or fifteen years between major capital outlays. For teams in that situation, baseband may not be the best solution and an IP may be a better fit. 4K and IP control room systems are the current holy grail of sports productions for clients that have the budgets to support it. For most clients, a 3G baseband system can provide all of the production quality and high-end features that are required to satisfy the live event productions of today, while still providing the ability to expand and build upon the system tomorrow. Stay tuned each week for a new design trend, with the series concluding the week of March 12 in advance of the SVG Sports Venue Production Summit. Next week’s design trend #2: High Frame Rate (HFR).